Google will come to your rescue! Drag and drop the red map pin. Click on the blue select button. The closer you are to the correct destination, the fewer miles you lose. The faster you answer, the more bonus points that are awarded. Bronze, silver, and gold pins can be earned along the way. Please be aware that Google does have a sense of humor, and sarcastic comments are given out when you miss the mark. Questions will repeat themselves over time. 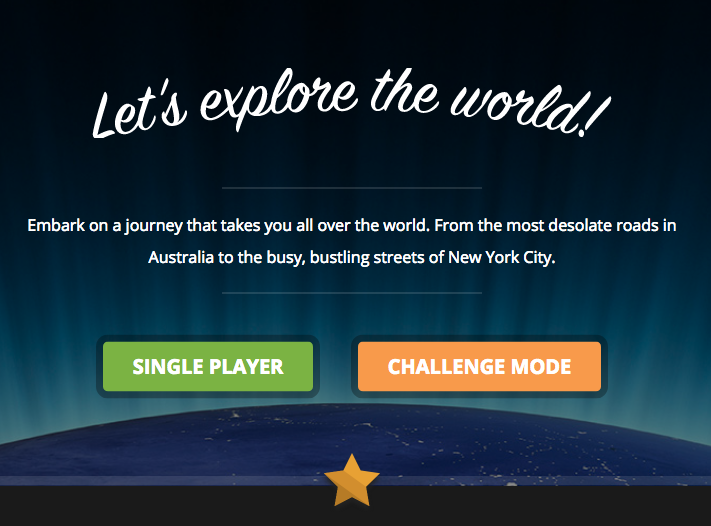 GeoGuessr is a web-based geographic discovery game which uses a semi-randomized Google Street View location. GeoGuessr is the creation of Anton Wallén, a Swedish IT consultant. The game has been around since May 9, 2013. The objective of the game is to guess the location in the world using only the clues visible. Play begins by “dropping” you somewhere in the world. You will need to use the type of road, road signs, vegetation, vehicles, and buildings you see to help you determine your location. You can move along the roads with the directional controls. The capability of 360º views is available. Click location on the zoomable Google world map. 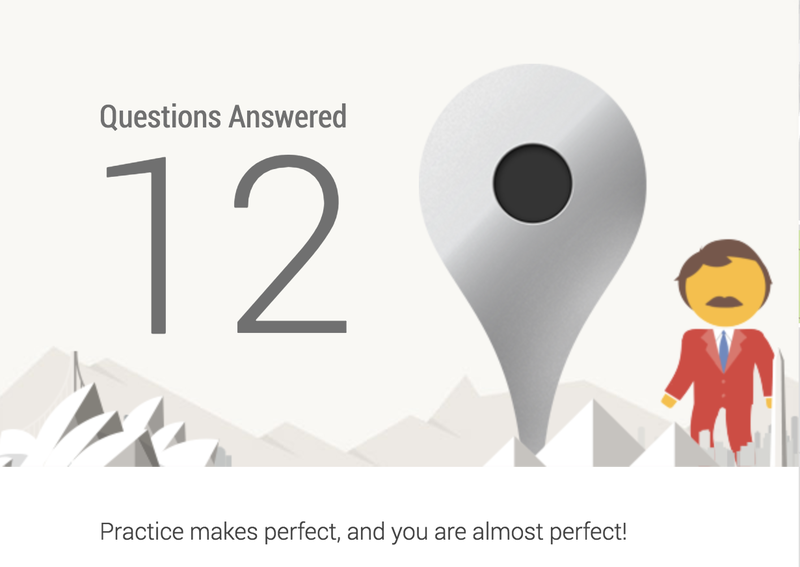 GeoGuessr will reveal the location. A score will be given based on how far away the guess was from the true location. Each game consists of five locations. You can play the same map again. Keep track of your games and statistics by creating an account. You can play in two modes: single player or challenger mode. Maps from the Top is a fun activity that I created using the satellite view in Google Maps. Players try to guess famous landmarks in the USA or around the world. Think of it as being in an airplane and looking down at Earth. 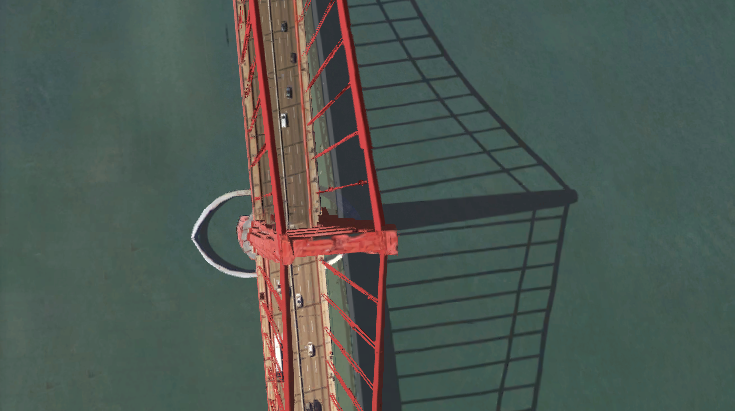 Can you guess the landmarks from their aerial views? 16 landmarks are available in the USA and 15 landmarks available in the world. The locations are written in the Speaker Notes on each slide. Make your very own copy of the slide deck here. I realize now students do not need to memorize their states and capitals. During my career as a fourth grade teacher, Siri or Alexa were not around to name the capital of Arizona in less than a second. I still like to challenge my memory. These two can keep the cobwebs away or enhance learning. Can You Draw the States? 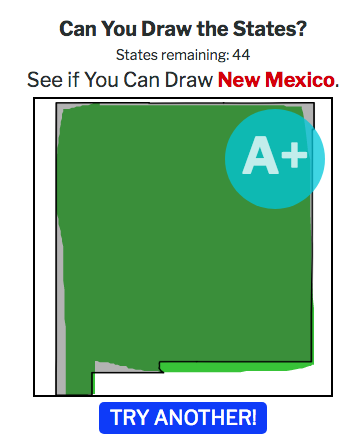 This interactive quiz by Time will prompt you to draw one randomly-selected state at a time. Once you’re finished sketching the outline with your mouse or finger, the site will compare your version to the actual boundaries. A letter grade is given as feedback. The website’s algorithm was written to compare your shape to the actual one. Grades are slightly curved to be more lenient on highly complex borders. Caution: Ads are present on the page. There are many states and capital quiz games available online. I recommend the following US State Capitals Map Quiz by Seterra. 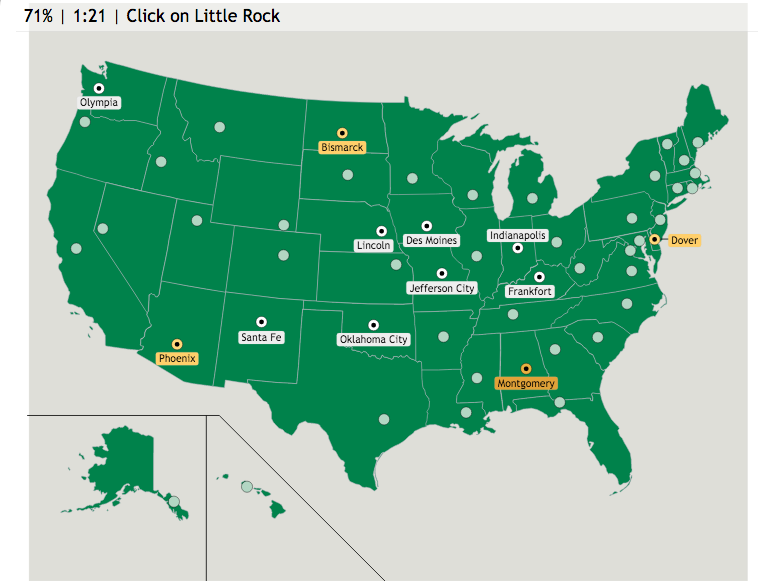 This activity has a large green United States map with the capital cities in their proper locations. The capital city will appear above the map in the upper left hand corner. The object is to select the correct city with the clickable circle links. Time starts the second you land on the page, but there is a restart button in the lower right corner of the map. If you make a mistake, the correct city is identified and you can try again. 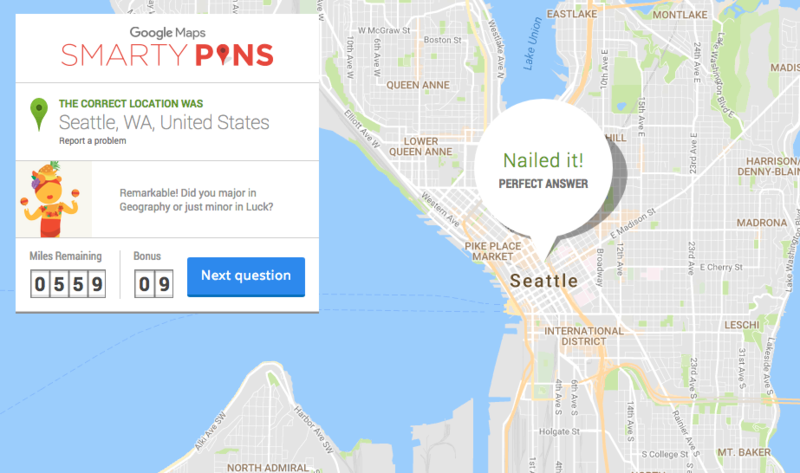 Additionally a teacher can create a custom map quiz. There are also many other map quizzes available on cities, regions, and countries. I hope Sam Cooke’s, What A Wonderful World did not get stuck in your head at the beginning of the blog and you can focus on your geography. =0) If you have other geography favorites, please drop a comment below and let us know.